In a landmark case, German energy company RWE has won the rights to amends its contracts with Gazprom, Russia’s state-owned gas exporter which has refused to budge on pricing for 40 years. Gazprom CEO Aleksandr Medvedev said on Tuesday that the Moscow-based company will amend its contract with Germany’s second largest utility provider as well as adjust the gas pricing formula. "We'll do this within a month. We are interested in doing this quicker because amendments will be made before final documents are signed," Medvedev said in Gazprom’s first public comment since the arbitration ruling. Gazprom’s sudden change of heart on pricing follows a tribunal ruling last Thursday that RWE had overpaid Gazprom for spot marking prices,which forced the Dusseldorf-based company to slash over 11,000 jobs and sent profits plummeting as they lost money on consumer sales. "It is another sign that the balance of power between Gazprom and its consumers is shifting in favor of the consumers and Gazprom is not ready for that," UBS analyst Konstantin Cherepanov said, Reuters reported. Germany’s RWE won $1.3 billion (1 billion euros) in compensation in the dispute over pricing for long-term gas-supply against Gazprom, which now has to make retroactive payments dating back to May 2010. At its annual shareholder meeting, Gazprom announced it has reserved approximately $6 billion (200 billion roubles) to pay off this years’ rebates. RWE stock has dropped 9 percent in Frankfurt since the June 27th ruling. 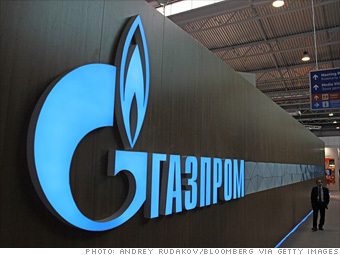 Weakening gas demand has caused a strain between Gazprom, Russia’s highest valued company, and its European clients. Gazprom charged customers for fuel they did not use under ‘spot marking pricing’. Spot pricing also forced utility companies to sell gas at lower prices than those they had agreed to pay under long-term deals. Only 20 percent of Gazprom’s gas exports to the EU in 2012 were spot deals, and the remainder were ‘fixed’ formulas. Worldwide, long-term contracts make up the majority of Gazprom deliveries, while spot supplies are only 7% of total exports. The Czech branch of RWE won a similar ‘take-or-pay’ case in October 2012 which similarly ruled the importing country didn’t have to pay for unused gas. E.ON Germany, which also has a long history with Gazprom, with both long and fixed term contracts, has tried to negotiate revised contracts with the oil giant. Gazprom exported around 238 billion cubic meters of natural gas worldwide last year. The vast majority of it was pumped to Europe. 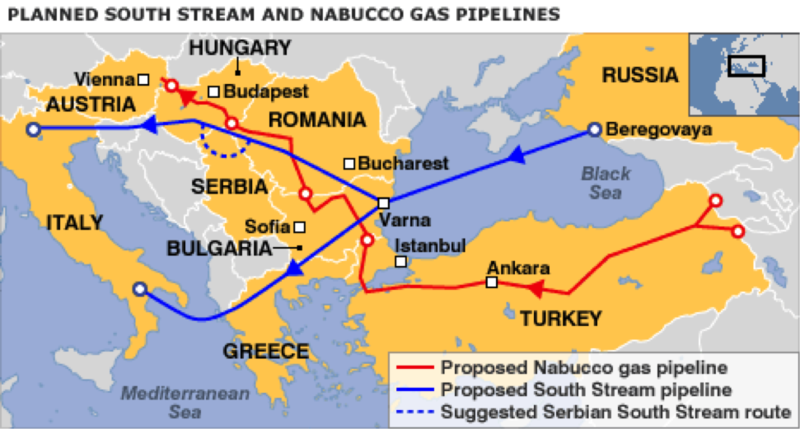 The company supplies a quarter of the 27-nation European Union’s gas needs, some 124 billion cubic meters, according to Eurostat, the EU’s official data service. Russian state-owned companies have a history of long-term contracts and fixed prices, a growing complaint among their European clients, who feel ‘overcharged’. Russia's gas major is already the subject of an investigation by the European Commission over alleged unfair competition and price fixing in the natural gas markets of Central and Eastern Europe. State-owned Rosneft is cutting its prices, as the price of Russian oil continues to increase, and Gazprom tries to placate its European clients as well look forward to LNG expansion in Asia.